What did you love best about The Drop? I don't think Len Cariou makes Harry Bosch sound old as a listener here experienced: cops get worn down daily from the job of dealing with the cesspool of society and Harry Bosch seems more exasperated but still committed to his job at the point as he contemplates retiring.I got to experience more insight into Harry Bosch's personality: he is a flawed man, though good at heart which shows as he tried to cope with various personal issues like Maddy, his daughter as she grows up. There is a relationship with a woman that develops and it parallels Harry's work at the LAPD perfectly. Where else would Harry meet another woman but through some aspect of his daily job of putting away criminals. Harry iremains a complex man and a good cop who uses his instincts to correctly pursue killers as only HB can do. Typical Harry Bosch vehicle.Good detective work. I like how Michael Connelly focuses in onthe daily mundane routines and lives of people around him. 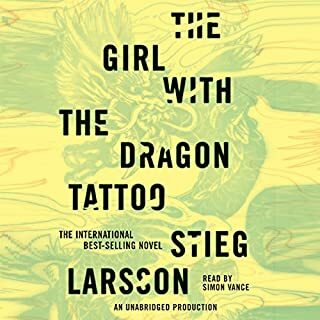 MC has a way of weaving the various stories within the main story to keep the momentum going and that's what a good book is all about: momentum to the point where I could not could not turn off this book. Which character – as performed by Len Cariou – was your favorite? Are you kidding me? I thought Len Cariou WAS Harry Bosch! :>) I liked Dr. Hanna Stome and more of her character could have developed to involve her more emotionally with Bosch but maybe in a future book. I would have liked to have seen a few of the characters fleshed out a little more. Can't say more without giving away parts of the story. Harry and his partner are older: don't they have to stop and hit the loo every once in a while? you know, more realistic actions like this. I am extremely please that Michael Connelly has Bosch taking Maddy to the gun range to train and compete with firearms. There is nothing better than giving someone the ability to protect themselves and others from harm. To be put off by Johnny Depp's great intro or disappointed by Joe Hurley's almost perfect rendition of Keith Richard's voice is quite simply a linear reaction to a sea-full of Keith's unfiltered and lively experiences through the backdrop of the Rolling Stone's birth and growth.These guys lived and breathed that music which shaped our lives everyday during that period of time we were growing up. 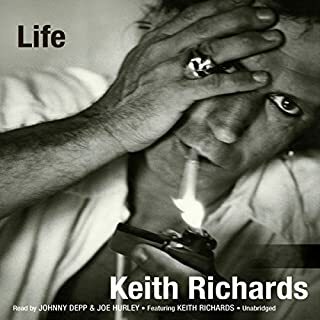 If you were born between 1945 and 1955, then you will want to listen to this book so that you can come to terms with the tapestry of your life where all this music still exits and comes back as you hear Keith Richards explain where, when, and more importantly, WHY he created all those great songs. Here's what you do : As you listen to the book,and begin the journey, every time a new song is mentioned, stop the book, go over to Youtube and listen to it done live by the Stones, then come back to the book. It will parallel your life and peg where you were at the time. Lots of fun and if music has always played an important part of your life, Keith's and Mick's songs will be inextricable adhered to the inside of your skull. It's in the total sum of who we are, right? This book is a candid view into what propelled the greatest rock and roll band through the 60's, the 70's and some of the 80's and how the Rolling Stones are in part, responsible for the voice of rebellion, the cause for change and defined the freedom that we all yearned for or experienced during those tumultuous times. Maybe it's just me, or maybe it's because I've been a blues guitarist since 1960, but I would not want to imagine a world without this music in it. I mean, who wants to live without rock and roll, man? This is not a book, this is a rock and roll history lesson. 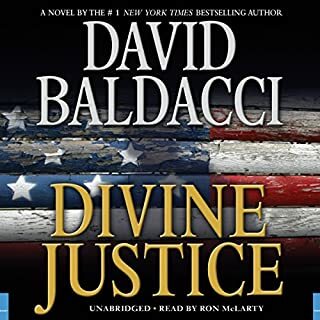 If every time you hear "Satisfaction" you get that tingle inside of you that puts you back to that night, that party, that girl or guy, that vacation, that point that was DEFINED by this song, you're gonna want to listen to this book. 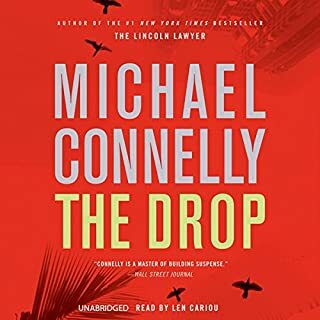 This is not a Bosch novel, but a Mickey Haller novel slipped in as a replacement for book 16 and NOT having Len Cariou step in for Harry Bosch as narrator is a big mistake for the Bosch series. The attitude, cadence and Harry Bosch baggage that Mr. Cariou brings lovinglingly to every piece of dialog can't be substituted by Peter Giles, who, to his credit, does his best. The audiobook is left flat and linear, and we we are observers instead of participants as we go through each chapter trying to link everything together. 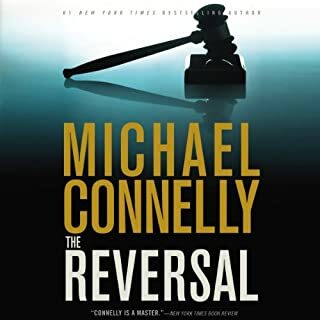 I would not recommend this book until they reprise the real Harry Bosch, Mr. Cariou for a re-read. There has been a lot of comments about the ending, but the only thing I'll add is that it not Michael Connelly caliber and was a phone-in, hence the 2 stars. I not sure how much control Mr Connelly has over who gets to narrate his books, but I would think as a celebrity with his stature, he would have had more influence. Who knows, maybe in the end, it is all about the money. The thing I love about Harry Bosch is that his history as a detective, father, ex-husband, etc. is multi-textured, easy to relate to and his humanity, with his successes and failures comes across easily in previous novels where Cariou works the layers of the character, not the words. I'm surprised Len Cariou has not been tapped for a Harry Bosch movie. I don't know where you are Harry, but I'm missing you, my friend! 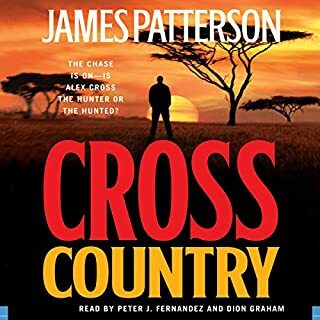 When the home of Alex Cross's oldest friend, Ellie Cox, is turned into the worst murder scene Alex has ever seen, the destruction leads him to believe that he's chasing a horrible new breed of killer. As Alex and his girlfriend, Brianna Stone, become entangled in the deadly Nigerian underworld of Washington D.C., what they discover is shocking: a stunningly organized gang of lethal teenagers headed by a powerful, diabolical man--the African warlord known as the Tiger. The narrators are right on. The book is awsome. The same great author, the same great narrator, the splendid Cross family and friends but it is different. A chaotic ramble of brutal surprizes. Found the story weak and the telling strong. I was left with mixed emotions about the plot and the tale. It should have had more cohesivenss and less ramble. It is an OK book. Known by his alias, "Oliver Stone," John Carr is the most wanted man in America. With two pulls of the trigger, the men who destroyed Stone's life and kept him in the shadows were finally silenced. But his freedom comes at a steep price: The assassinations he carried out prompt the highest levels of the U.S. government to unleash a massive manhunt. Behind the scenes, master spy Macklin Hayes is playing a very personal game of cat and mouse. He, more than anyone, wants Stone dead. Escaping into an entanglment rather than away from one. Oliver Stone and the Camel Club have done it, again. Double identity,Small remote, mining town and a high powered mystery and solution, nicely told.You'll like it, I did. It was a long, beautifully discriptive, never boring, discomforting listen. A well narrated, always interesting, story line which traveled to a miserable unessesarily morose ending. While it was well done, I'm sorry I listened to it. Mitch Rapp and his protege, Mike Nash, may have met their match. The CIA has detected and intercepted two terrorist cells, but a third is feared to be on the loose. 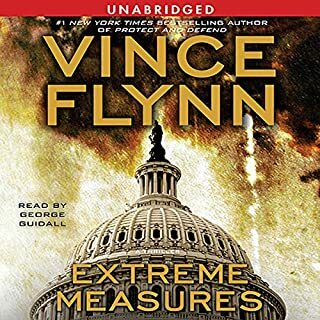 Led by a dangerous mastermind obsessed with becoming the leader of al-Qaeda, this determined and terrifying group is about to descend on America. Kickass Thriller - With Politics! What a thriller it is.Engrossing from page one. I just love the way it was paced. Driven from one place to the next never losing touch. This author doesn't let you go. The cast of characters perpetuated. Don't miss it. 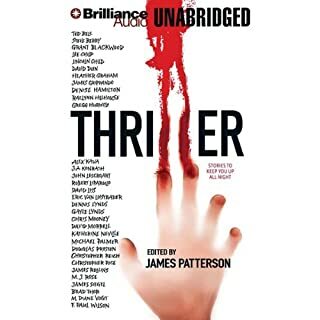 Another nicely narrated Thriller. All of the "Thrillers" were good, some were captivating and some were almost breath stoping. A very nice collection allowing me to complete a "Listen" and get the kick before going on to another very different surprise. 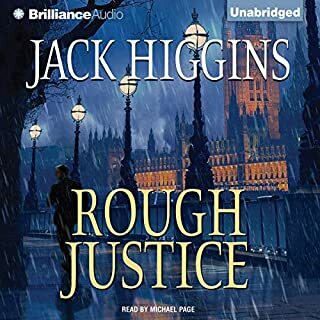 Dispatched by the President to report on the state of troubled Kosovo, his trusted agent , Blake Johnson, runs into a military man there named Harry Miller, who has the same task from the British Prime Minister. They band together just in time to stop a Russian officer from torching a mosque - or rather, Miller stops him, with a bullet to the forehead. Mystery, suspense,murder and intrigue. Nonstop action and plotting with never a drag. The secret organizations of the Brits, The Russians,The followers of Ossama. 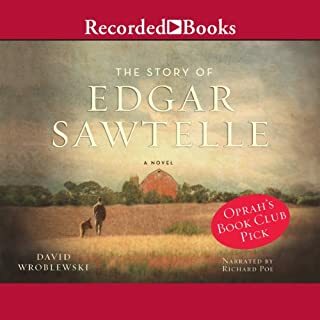 Wonderfully narrated. It will keep you thinking.